On this day of remembering the Reverend Dr. Martin Luther King, Jr., many will engage in service projects – a good thing, to be sure. But rarely do service projects change the social arrangements that produce such great needs. This year, there will be real efforts to “reclaim MLK Day” by engaging in protest and other acts to highlight the systemic injustices and call for systemic change. 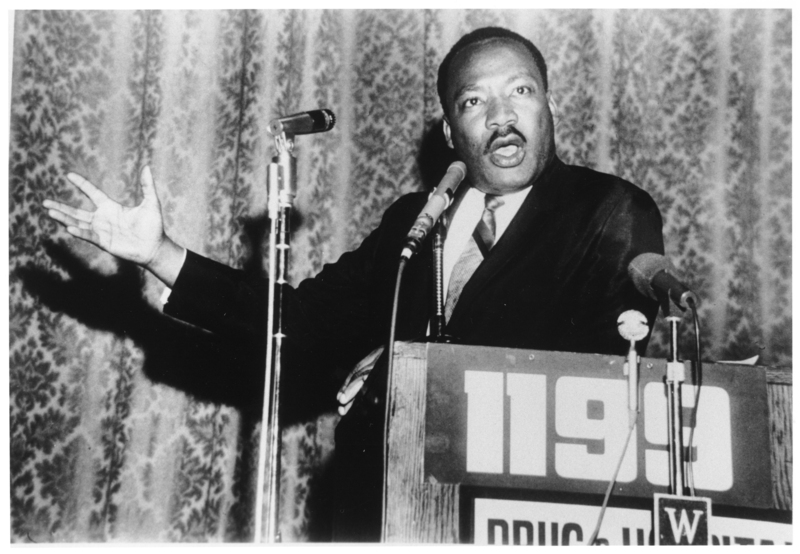 As we reflect on Dr. King’s legacy, I’m reminded of the messiness of movements. We tend to look back at the Civil Rights Movement or the Women’s Movement and think of it as one thing—one unified, coordinated and strategically aligned set of actors working off a common plan. A cursory look at history reminds us otherwise. While there certainly was a lot of strategic thought and coordinated action, there was also a lot of decentralized action. And while certain strategies tended to dominate, there were tensions among more and less radical approaches, more and less comprehensive efforts to involve people in the work, and multiple analyses of the problem and current reality, leading to multiple strategies and tactics. The more radical and disruptive actions often created the space for changes within the system like new laws. In this movement moment, we’re seeing the same kind of messiness. As people declare that #BlackLivesMatter, some of the tensions are generational. Young people of color are taking the lead and negotiating relationships with established civil rights and other organizational leaders. Some of those more established leaders and other public figures are calling for a clearer set of demands and a few visible leaders around which to rally. Some of the young people are pushing back. Multi-racial groups of protesters are shutting down business-as-usual in public spaces and streets. White people are looking for places in the conversation and the work. In some places, white people are taking the lead on civil disobedience of the sort that shut down a major highway leading into Boston recently. Some folks who have been inconvenienced by various shut-it-down actions see the value, while others decry the inconveniences and the problems that have been caused for ambulances caught up in the traffic. Some folks of color are taking a weary and wary wait-and-see posture because getting deeply involved is risky and exhausting both physically and emotionally. Some folks see all of this messiness and fear that progress will not happen without the kind of alignment, strategy and singular leadership some are calling for. I’m not so worried about that. I think we need to embrace the messiness and maybe even celebrate it. When the story of this moment is told, it will look and sound a lot neater than it actually was. And I suspect that it will also be linked to a lot more progress than we can anticipate right now. For those of us building collaborative capacity to support social change, this is an incredible moment to bring the best of what we have to offer, and to know that it may not be all that is needed. YES! Here is to the messiness of it all, this is how we make progress – by trying different things, failing sometimes and always contending with the tension of it all.